Rotary create something very special indeed. This watch is slim but with a very readable round face. The dial in a champagne colour features rose baton hour markers and rose hands as well as a date function.the case is made from PVD rose plated steel and fastens with a quality brown leather strap. Powered by a quality quartz movement. This timepiece is all about comfort and style. Really lovely vintage style watch. The video probably makes the watch look bigger than it actually is. But having now arrived promptly the watch will fit and suit any ladies arm. Bought it as a 21st birthday present, gift wrap was perfect and saved a lot of time for what it cost brown leather strap helps the watch to go with more clothing therefore can be worn more frequently. Its not a large watch therefore not overpowering thus can wear with other jewellery aswell!! Brilliant price on this website as about £30-£50 cheaper than other retailers. 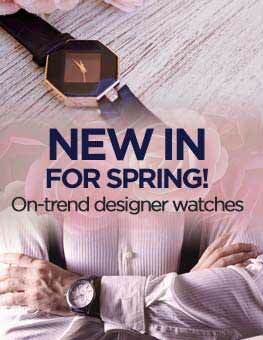 The watch comes sparkling looks very sophisticated and is just pure elegance by Rotary. Also not meant to mention service but free first class delivery also helped as with any guy I left it to the last minute haha!! Great service. Watch dispatched quickly and arrived securely packaged in nice presentation case. Bought as a gift for my Mum. Medium sized. Has a delicate, classic feel. Colour as shown. Good quality watch - would recommend! Beautiful watch. Looks vintage but has a clean, modern lines too. I am really looking forward to giving this to my daughter before she goes to university. Rose gold and soft, warm brown leather strap is a classic combination, the design is slim, feminine but strong too. My mother has a Rotary watch which is over 40 years old and she is still delighted with it, I am sure this will be the same for my daughter too. Excellent value for the money, it looks a very sophisticated piece. I bought this watch as I wanted a watch with quite a large face, but as I have a very small wrist I was limited to how large the face could be. This watch fits beautifully and looks neat and slim on my wrist.The strap is quite stiff but is not uncomfortable and due to the strap being relatively short it fits me very well. I am really pleased with the classic, stylish appearance and it keeps good time. Bought this for myself and I love it! I have small wrists and have had trouble finding a watch with a metal bracelet that fits so a leather strap is much more comfortable for me. The strap is a good width, its not too chunky but thick enough to stand out. The watch is very simple which I like as I have never liked wearing anything with too much bling. The colour of the strap matches very well with the rose gold casing, it would go with pretty much any outfit! It is very simple to change the date and time, and has a clear dial which isnt too small. 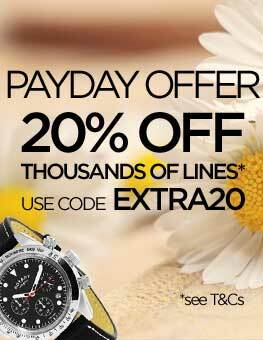 As always, brilliant service from watch shop and excellent prices! Very impressed with this watch. Tried it on at a jewellers and it is NOT just a ladies watch! The build quality is what youd expect from Rotary. It looks expensive and vintage without an exorbitant price tag. Would recommend. 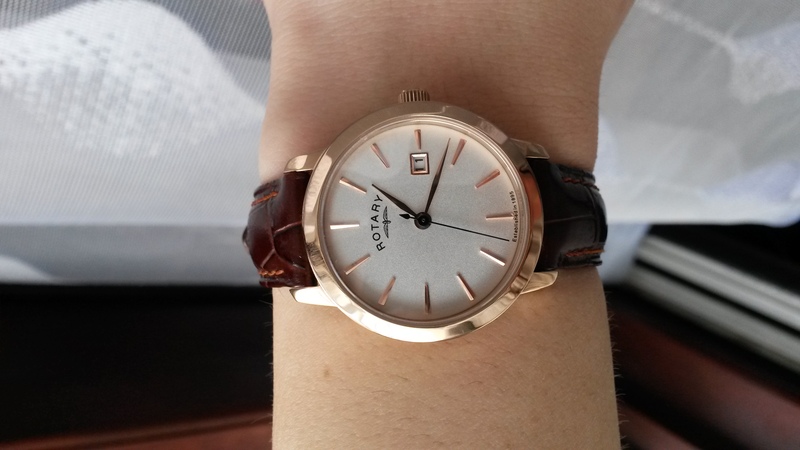 Because the watch is Rotary it can only be excellent - as is mine. The colours are well matched. The style is well designed. The cost for such a handsome watch and from a long standing excellent manufacturer was what made my mind up to buy. The leather is of good quality, so what with my comments above I cant possibly give a bad review. Exactly as I expected. Classy and elegant. Agree with previous comments. Strap does come a little small, however it fit me and I am an average size 12/14 UK woman, average size wrist. I use the 2nd to last hole on the strap, so no issues. Brilliant watch, Im very pleased of it. Not too small and looks very elegant and pretty on a wrist. It fits excellent - I dont even feel when Im wearing it. excellent quality watch. Only issue is that the strap is very short and will only fit a thin wrist. very pleased with this watch its lovely and it looks so good on can not fault it worth every penny and i wont bother going to the highstreet again keep up the excellent work thankyou. Very pleased with my new watch.The colour and size is exactly what is shown on the video.The strap is rather short,but I have a thin wrist,so no problem. Watch well received. A very nice watch. Particularly impressed with watch shop service and knowing exactly when parcel was going to arrive was extremely helpful. I love the watch it looks even better than in the pictures. The rose gold is unusual and is matched perfectly with the strap, giving it a very stylish appearance. I can understand comments from previous reviewers about the strap being on the small size. It is just right for me but I have quite narrow wrists so it might not suit all. great looking watch, classic in design and style, chosen by my girlfriend for her birthday and she loves it. Simply elegant with nicely matched colours for the casing and the strap. The watch. was bought as a present for my wife who very pleased with it. She wanted a bigger face than her previous watch and I have had a Rotary for some years that I have been very pleased with, hence the choice. The date window is very small and difficult to read but apart from that she is very pleased with the appearance and functioning of the watch. The strap is on the short side but fits her well enough without too much overlap. I can imagine there are wrists that it would not go round. I bought this watch as a Christmas gift and am absolutely thrilled with it. The quality of the watch is phenomenal, especially considering the more than reasonable price. The face is a lovely off white and is perfectly easy to read. I have also found it keeps perfect time. I love this watch, goes with everything. The strap is particularly attractive and sets off the rose gold watch face. Looks much more expensive than it is. 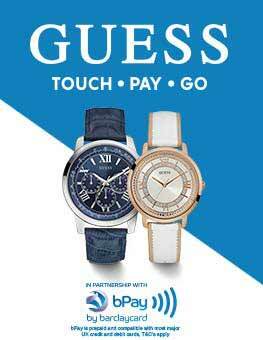 Recommend Watch Shop for ease of transaction, easy delivery and excellent pricing. Watch looks good but hasnt been worn yet as it was bought as a Christmas present. I wanted a watch that was elegant, and yet functional and one that was easy to read the time from. It was bought for my wife as a gift to mark our ruby wedding anniversary and this gift had to be of the stature that showed my love and appreciation of 40 years happy marriage. It was not to be exhorbitant, flashy, and out of fashion next week but sometjhing to treasure. This watch, the Ladies Rotary Kensington Watch LS02489/06, has proved to have all of those qualities. I felt confident in the purchase as the I knew that, as a Rotary watch, the quality of finish would be of a high standard and the quality of the workings would be reliable. I read reviews and was impressed and noted that many people liked the colour of the watch face. I did not say anything to my wife about this. Among the good comments about the watch that I received during the days after the gift was a comment that she liked the colour of the watch face and the makers seemed to have judged the colour just right. The only surprise I had was that the watch was a little larger in diameter than I expected and I knew that my wife was looking for a watch with a small face. However, her comment is Im getting used to a larger watch and I can easily see the time ! Lovely watch - delivered promptly and wrapped nicely for a present. Very happy with this purchase. clear easy to read clock face,nice large size but not too big. 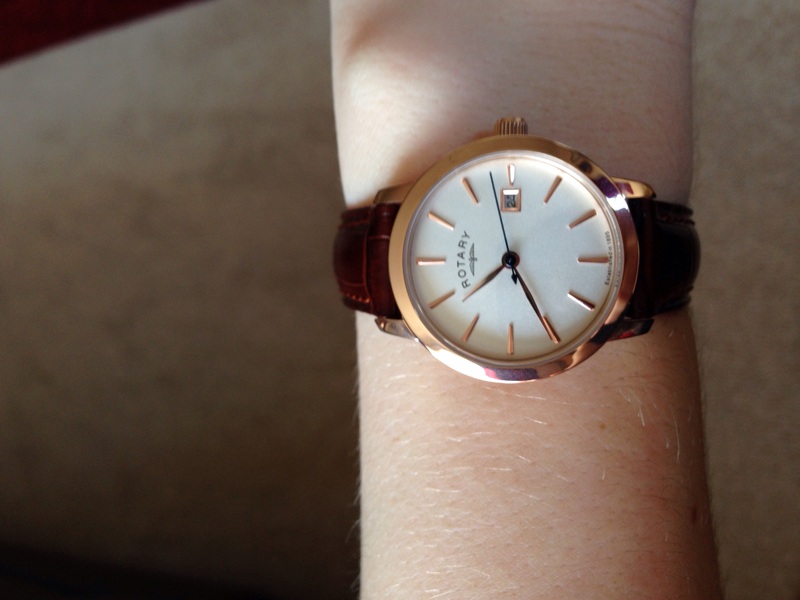 rose gold colour matches well with the mahogany brown strap. it is easy to change the date and time. on the down side i find the date difficult to read and i would like the strap to be slightly longer as it is on the last hole. Great watch, an all time classic that I hope to wear for a very long time. Super fast delivery the next day. very happy with the purchase and service. Great watch, very classic and elegant! Plus really fast delivery - the next day. This was bought for my daughters 19th birthday and she is delighted with it. It is a good size for her small wrist and looked very elegant. Its a timeless classic design which if cared for should last her many years. The face is thicker than we anticipated but it looks attractive. The strap is also a bit chunky, but a good colour. My wife was very pleased with her new watch. She liked the colour of the case and the strap. We bought this watch for our daughters 25th birthday. It was very easy to order online and the watch arrived the next day in perfect condition. It is a very elegant watch and our daughter is delighted with it. A good product - dainty and classy as a present for my grand-daughters 21st. Well priced. Very good service. This watch is really light and in good quality.I bought it for my grandma and I am sure she will like it. This is a classic watch with a vintage feel. The rose gold face is a good alternative to standard gold or silver and looks great alongside the brown leather strap. An excellent, comfortable watch that offers good value for money. Comes in presenable box and looks good when opened. The watch itself is gorgeous, especially the gold detailing and the leather strap gives it a classic look. product is excellent, looks great especially with the rose clockface. a great modern twist on a classic style. Lovely watch, easy to see/read face. Nice colour, much better than a white face. Overall appearance is of high quality. 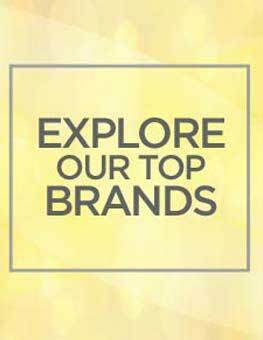 Also much cheaper on this website than high street shops. A very pretty watch with a slim clear face and look that would compliment any dress style whether casual or more formal. A simple style which will never look dated. 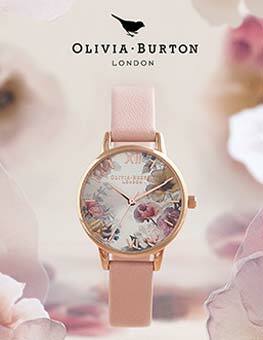 Beautifully designed watch for less than £100. The service from Watch Shop was absolutely outstanding, informative every step of the order process... hugely appreciated.